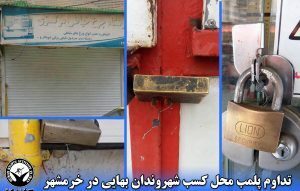 According to HRANA (Human Rights Activist News Agency in Iran), more than 96 Baha’i-owned shops in Mazandaran Province remain sealed, since a series of forced closures by police and agents of the Bureau of Public Places last November (2016), by order of the Attorney General of Mazandaran Province. In June 2017, the Administrative Court of Mazandaran ruled in favor of the owners of these sealed shops. This ruling was based on the “Article 28 of the Labor Code” which allows businesses to close for up to 15 days in a calendar year without having to report to authorities. 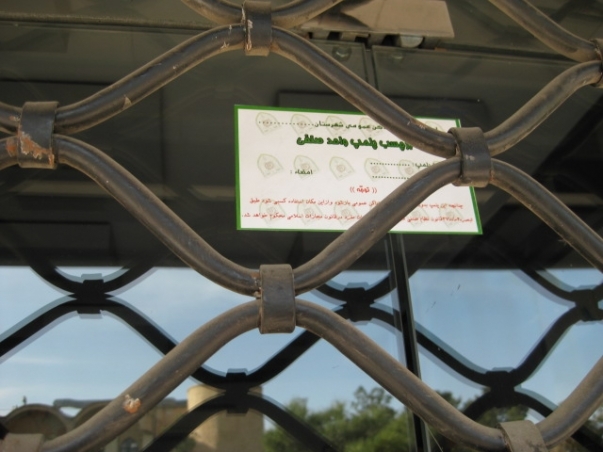 Despite the verdict, authorities have not unsealed the shops nor restored work permits to the Baha’i business owners in that region. 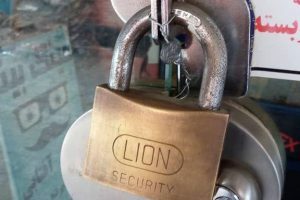 The Article 28 15-day business closure statute applies to all Iranian citizens; however, it is routinely disregarded in the case of Baha’is, who find their shops sealed by police and agents of the Bureau of Public Places when they close in observance of Baha’i religious holidays. The government of Iran does not recognize the Baha’i Faith and Iranian officials routinely speak against the Baha’i. 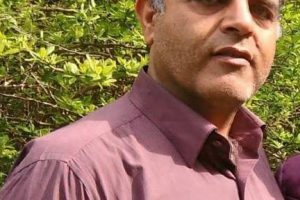 Baha’is in Iran are not afforded their legal civil rights, and there has been ongoing policy of impeding their financial activities. This policy has gained momentum under the Presidency of Hassan Rouhani, with tens of Baha’i shops in additional provinces subject to closure seal throughout the past year in other provinces besides Mazandaran. These unlawful, persistent shop closures have, as intended, seriously impacted Baha’i citizens ability to make a living, subjecting the community to severe hardships. For example, “Arastoo Asadi”, one of the victims of these closures, has no choice but to work, under harsh conditions, in front of his sealed shop to in order to make ends meet. In recent months, a marked increase in closures of Baha’i-owned shops has been reported. International organizations such as the United Nations as well as human rights activists have repeatedly published reports on the discrimination against Baha’is in Iran, which includes arrest and repression, denial of access to higher education, as well as closure of Baha’i-owned businesses. According to the reports of the BIC (Baha’i International Community), in past 11 years, more than 860 Baha’is have been detained, and 275 Baha’is have been sentenced to serve time in prisons due to their Faith.